The German Football Ambassador (Deutscher Fußball Botschafter e.V.) announced the three nominations for the main ‘coach’ category: Jürgen Klopp, Petra Landers and Michael Weiss are the candidates for the successor of the acting football ambassador Gert Engels. Jury chairman and kicker editor Rainer Holzschuh emphasized: “All three nominees perform on a completely different level. Nevertheless, the jury’s decision was unanimous.” The jury and the advisory board are staffed by top-class experts – Horst Hrubesch and Berti Vogts as well as Kathrin Müller-Hohenstein are on the jury for the first time this year. The nominations: The most famous coach is likely to be Jürgen Klopp, who moved to ‘the island’ after his successful stops in Mainz and Dortmund to Liverpool, where he not only celebrated by the football fans, but by his incomparably positive appearance almost to a #German Messiah’. More successful in her active time than her two competitors, Petra Landers celebrated as second nominee, great national and international successes. The European champion from 1989 is currently working in a long-term project in Gambia on a regular basis. She was also the only German player when, in 2017, a selection of international players, together in the crater of Kilimanjaro in Kenya, held the highest football game in the world at 5,729 meters to promote greater equality of girls and women in sport. The circle closes with Michael Weiss, who was nominated after 2013 for a second time, which so far only Jürgen Klinsmann succeeded in doing. He is currently training the Mongolian national team. He already travelled to exotic places as an ambassador of German football, such as the Philippines, Rwanda, China and Japan. 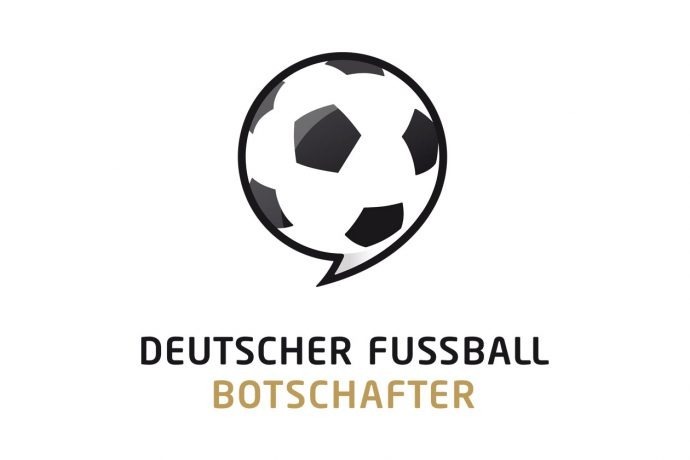 The president of the German Football Ambassador, Roland Bischof, will now visit all three nominees in their countries of activity in February/March to give them their nomination certificates and to collect impressions of their work on and off the field. The charity projects supported by the nominees with their prize money will also be visited. In the preparation, organization and realization of the respective trips, the Foreign Office and the Goethe-Institut are actively involved again this year. The winner will be announced in Berlin in May 2019, where in the last five years the respective foreign minister has always been present at the Foreign Office. Also this year Heiko Maas will try to be there. The former football ambassadors winners in this category were: Holger Obermann (2013, Nepal), Monika Staab (2014, Qatar), Jürgen Klinsmann (2015, USA), Gernot Rohr (2016, Burkina Faso), Horst Kriete (2017, South Africa) and Gert Engels (2018, Japan). “I hope we have a little bit lucky.” - Lothar Matthäus, 1990 FIFA World Cup and Germany legend. Photo courtesy: Heldengalerie / Deutscher Fußball Botschafter e.V.